The Airbus A400M is a massive four-engine turboprop military transport aircraft with a huge wingspan of 139′ and weight of almost 85 tons. Don’t let its size fool you. This aircraft is as graceful as it is gigantic. 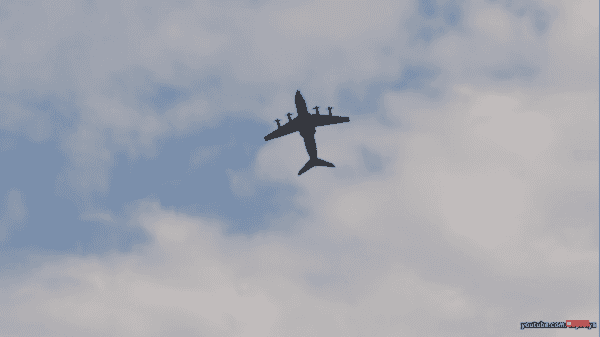 Transport planes like the A400M aren’t known for their ability to pull off death-defying aerial maneuvers but that doesn’t mean they’re incapable of doing them. According to Airbus, the A400M is the most advanced, proven and certified airlifter existing. It is designed to meet the needs of the military forces, capable of carrying strategic loads and to deliver them into the most strategic locations that some might never consider landing in. The A400M is known to do the work of three aircraft and can deliver a load of up to 37 tons. The A400M has an ability that no other aircraft has — it can carry the heaviest and most critical equipment for the armed forces, while still maintaining range, speed, altitude, and tactical performance. 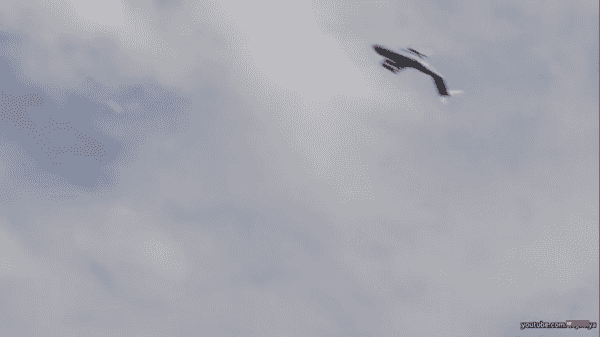 It can drop paratroopers and supplies from lower altitudes with ease. The A400M makes it possible to respond to crises quickly and cost-effectively. The A400M is 58 feet long, 13 feet and one inch wide, and 13 feet and one inch high. The cargo space is so big that it could house a Boeing CH-47 Chinook, or 116 soldiers geared for combat. Despite its size, the A400M made an incredible maneuver while practicing for the Farnborough 2014 International Airshow. The A400M program was launched in May 2003 to meet the future transport needs of Belgium, France, Germany, Luxemburg, Spain, Turkey, and the UK, Airbus stated. It made its first flight on Dec. 11, 2009 departing from and returning to Seville, Spain after spending three hours and 47 minutes in the air. The first A400M was delivered to the French Air Force in August 2013. On Dec. 29, 2013, the A400M made its first operational flight with the French military during Operation Serval. In April 2014, the Turkish Air Force got their first A400M. The Royal Air Force got the next A400M in November 2014 and the German Air Force received one in December 2014, Copybook stated. The A400M uses a three-man crew consisting of a pilot, co-pilot, and loadmaster. During a medical evacuation, eight stretchers normally can be transported, but with the A400M, 64 can be transported at once. It has the capability to be a tactical tanker that can refuel itself or other aircraft at a speed or altitude of their choosing at 400 gallons per minute. It can reach a max speed of 485 mph and a range of 5,412 miles.